The launch of a towering new fantasy series introduces an elaborate new world, a strange and dark system of magic, and a cast of compelling characters and monsters. Young Talen lives in a world where the days of a person’s life can be harvested, bought, and stolen. Only the great Divines, who rule every land, and the human soul-eaters, dark ones who steal from man and beast and become twisted by their polluted draws, know the secrets of this power. This land’s Divine has gone missing and soul-eaters are found among Talen’s people. The Clans muster a massive hunt, and Talen finds himself a target. Thinking his struggle is against both soul-eaters and their hunters, Talen actually has far larger problems. A being of awesome power has arisen, one whose diet consists of the days of man. Her Mothers once ranched human subjects like cattle. She has emerged to take back what is rightfully hers. Trapped in a web of lies and ancient secrets, Talen must struggle to identify his true enemy before the Mother finds the one whom she will transform into the lord of the human harvest. John Brown’s novel delivers on both the “classic” fantasy score as well developing a “dark” fantasy novel as well. Using the young, inexperiencedTalen to tell the story does remind you of many of yesteryear’s fantasy story. However, Brown’s expert world building of an entire cosmology for Servant of a Dark God is nothing short of amazing with this being a debut novel. The dark magic that permeates this book really does help stop this book from just being a fantasy novel of old where a young nobody is suddenly thrown into circumstances where he and only he can save the world. The Divines who rule every known land, and the dark ones, literal soul eaters, know secrets That only one of them should. The secret that human life can be brought or stolen. Not a secret that should get our especially amongst evil that eats souls. Unfortunately forTalen the Divine who rules his land has gone walkabout and no one seems to know where. Without the Divine to stop them, the soul eaters begin to ravageTalen’s land. The Clans of Talen’s lands begin a hunt for the soul-eaters running rampant through their land. Talen however comes to their notice and becomes a target of their hunt as well. As if this weren’t problem enough, Talen discovers that a being with power like no other has arisen. An entity whose ancestors once kept human beings as livestock, devouring the days of men at their leisure. This being of power intends to bring the “good old days” back, and nothing is going to stand in her way. This new powerful being is hunting for one person in particular, the one that she can transform. The one she intends to become the new Lord of the human harvest. As I mentioned before, Brown’s world building is nothing short of stellar. I do not read “straight” fantasy all that often, but this alone made me keep reading and forced me to care for all of the characters in Servant of a Dark God. Another great and surprising fact in this novel is that all of Brown’s characters are important. His family that consists of his father Hogan, his brother and sisterKe and River and his uncle and cousin Argoth and Nettle. Plus, what I guess you could refer to as an anti-enemy named Hunger. The problem that arises in most first time novels is present as well. There are parts to the story that are mechanical and workmanlike. This is something that I intend Brown to improve by his next novel since he will not have as much back story to tell. His talent shows through, even with these small, but expect-able flaws. There is a greater story going on here since Servant of a Dark God is marketed as a trilogy. 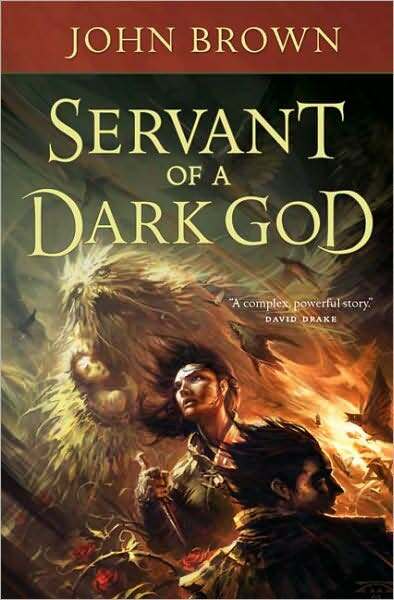 The best thing about Servant of a Dark God is that it is one complete story. Unlike most books of today where the first of a trilogy mainly only lays groundwork while leaving the reader with a cliffhanger, Servant tells a complete story that gives you an amazing ending whilst making you wish for the second volume. I'm trying to remember the last straight up fantasy I read... and I can't! I haven't read pure fantasy before, this does look like an interesting book. Great guest review! Thanks Colette! It does have an interesting premises. EH - Patrick write great reviews. I'm so glad he was able to review Servant of a Dark God. 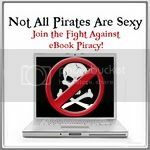 And agree the supporting cast can make or break a book just the same as a movie or TV show. You're welcome from me and on Patrick's behalf.